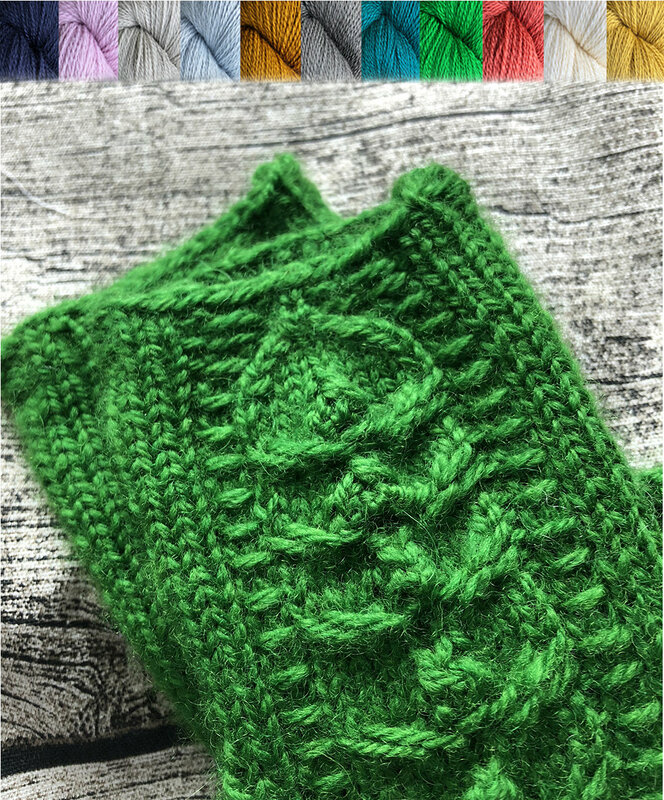 Centaurea – a new design - Kettle Yarn Co.
Showcasing Kettle Yarn Co. Northiam DK, my new Centaurea mitts are a quick project with a simple, easy to remember stitch pattern. Fun nupps and slipped stitches add extra warmth to keep your hands cosy on cold days straight through to summer. 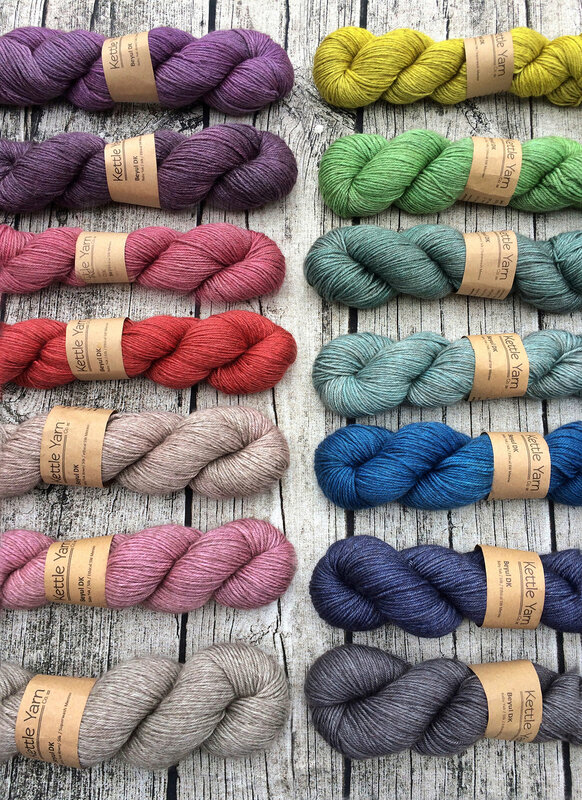 Choose from 11 colours of super soft Northiam DK, British Bluefaced Leicester in shop. Only one 50g skein is needed to make these beauties. Northiam works to support British wool farmers, a small batch yarn sourced, scoured, spun and dyed at British mill. Worsted spun and non-superwash, it is luscious against the skin – super soft like a fine Merino but long lasting with just enough tooth to make it divine for colourwork. Supporting the historic British yarn industry, my luxurious Kettle Yarn Co. fibres are carefully selected from ethical British mills to ensure animal welfare. By sourcing and manufacturing the yarns from the UK, I aim to minimise my company’s carbon footprint and help to bring business back to a once thriving textile industry. Cast a pair on and help me support British wool farmers! 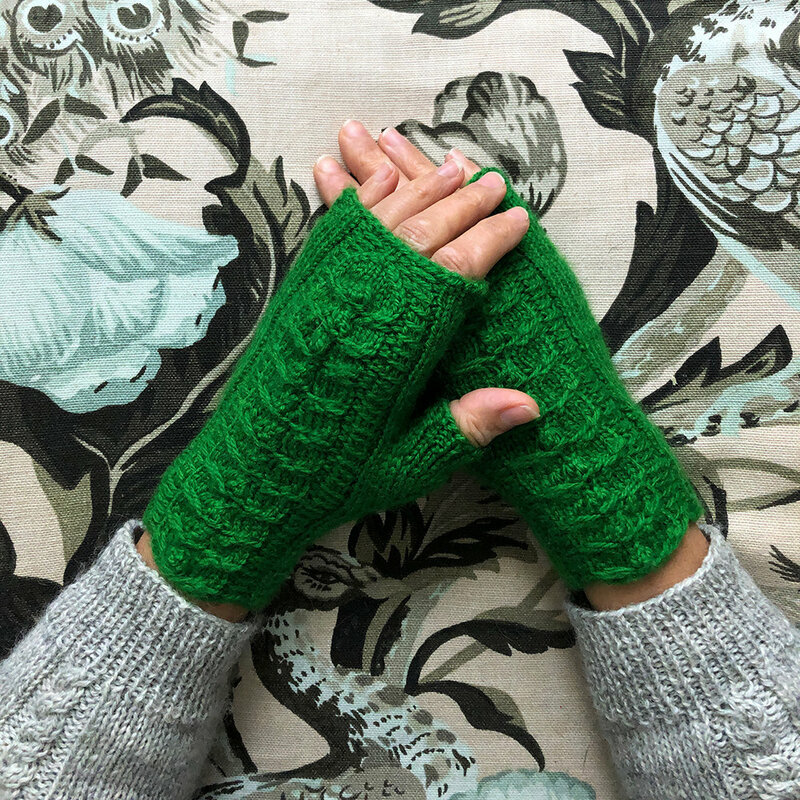 Find the Centaurea mitts as a single download on Ravelry and also in fabulous @knittingmagazine issue 190 this month! Show season starts next month with Unravel –Friday 22 – Sunday 24 February 2019! If you are further north you can also come say hello, try on some samples and fondle some yarn at Edinburgh Yarn Festival -Thursday 21 – Saturday 23 March 2019.